The Srixon Z 565 Irons have made Srixon's best iron performance even better. The Z 565 is a highly playable forged cavity back that promotes maximum distance and forgiveness. Innovation Without Boundaries Epic Pro Irons use our most ultra-premium materials and advance our revolutionary technologies to create the highest level of ball speed, forgiveness and performance we've ever had in a player's iron. Kije używane podczas fittingów oraz demonstracji producenta. Bardzo dobra jakość i wyjątkowo niska cena, idealnie na start oraz jako wypełnienie braków w torbie. 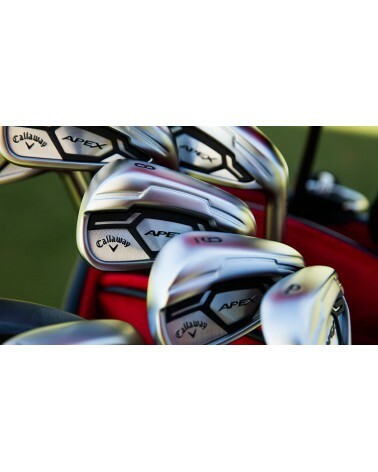 Apex is the ultimate forged players distance iron, with premium craftsmanship and amazing sound and feel. This exceptional multi-piece construction lives up to the Apex standard.